According to a new McClatchy-Marist poll, President Obama's job approval rating has hit a record low since his reelection. The poll found the president's job approval rating at 41 percent — a nine point drop since April, when the same poll found his job approval rating at 50 percent. The president's approval might not actually be in as dire straits as it seems, though. Real Clear Politics says Obama's average approval rating (as found by six other polls) was 45.5 percent. 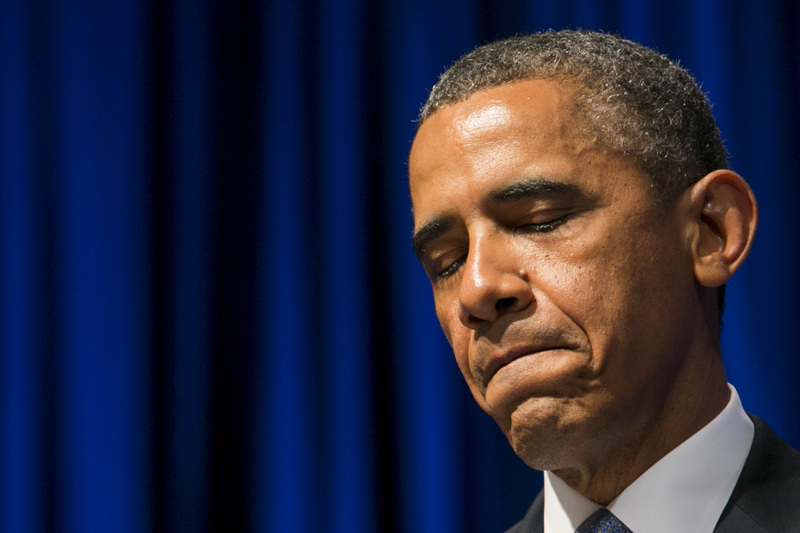 The poll numbers come as Obama redirects his attention to the economy. He is currently on a speechmaking tour of the Midwest outlining his new fiscal policy plans. Meanwhile, the McClatchy poll found that only 37 percent approve of the president's handling of the economy. Fifty-six percent disapprove. And yet, still, Obama's economic approval is more than double the Real Clear Politics average Congressional approval rating, which comes in at 15.2 percent. If anything, we're surprised that number's not lower.